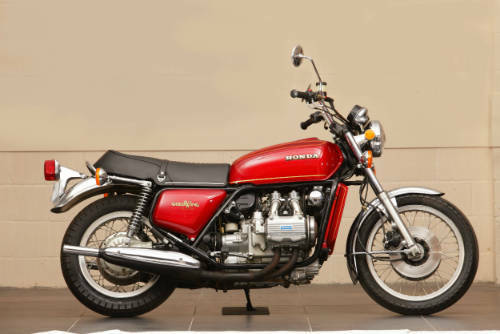 In the collection, you will find over 150 different models produced by Honda from 1948 to 1992. Starting with the very first Honda model, the 1948 A-type and finishing with the 1992 NR-750 and CBR900RR Fireblade a fitting tribute is provided to the period of Soichiro Honda. Throughout the two-floors of display, you will see Honda models of all shapes and sizes. 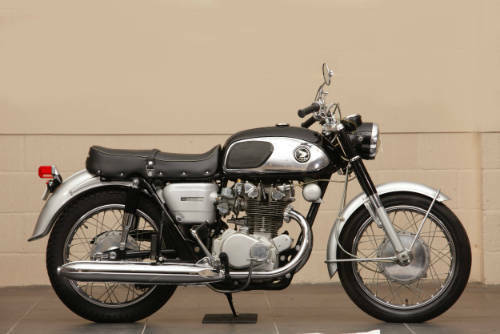 From 1-cylinder to 6-cylinders and from 2-stroke to 4-stroke, Honda produced more variety of engines and model designs than any other motorcycle producer. You may even find your first Honda! As well as the over 150 classic Honda’s on display, you will see a 100-metre Honda timeline display, providing a year-by-year history of Honda motorcycles. In addition, TV monitors show videos of past Honda factory tours and other interesting films. 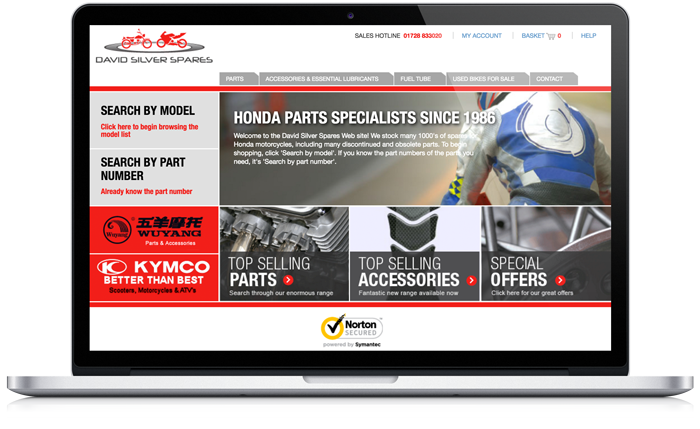 In addtion, introduced during 2018, is our Honda Reading Room where over 200 model fact files are available to study. 1940s - The collection showcases 1 very rare model from the 1940s! In 1947, Mr. Honda proudly launched his very first production model, the A-type. We proudly present one fine original example that we found in a Tokyo dealership.. There are 5 early Dream models on display, starting with the 1951 Dream E-type model through to the 1959 Dream CE71 Super Sport. The Dream E-type was a 146cc single and the first of many 4-stroke models. The name Dream came from Soichiro himself as he had achieved his wish! 7 different models on display portray the early Benly range. 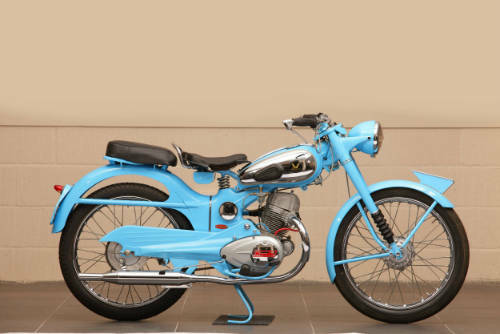 From the word Benri, meaning convenient in Japanese, these Benly models were produced as practical commuter bikes. 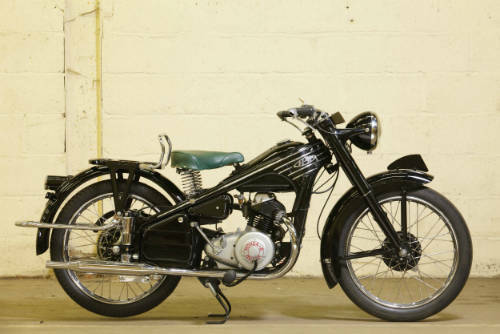 Starting with a 1953 Benly J-type and finishing with the twin-cylinder Benly CB92 Super Sport. Super Cub - the world's most produced motorised vehicle. In 1957, Soichiro Honda had a vision to produce a model of mass numbers for export across the world. It was to have the protection of a scooter, the handling of a motorcycle and the dependability and economy of 4-stroke power. 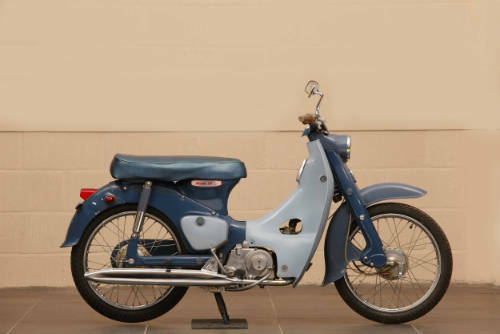 In late 1958 the Super Cub C100 was launched and the Honda phenomenon started as over 80 million units have now been produced! On display are 3 early examples of the C100 including a C102, the electric start version. 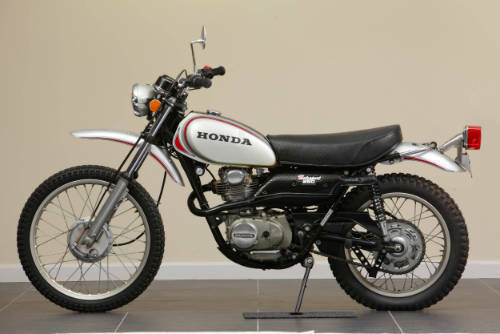 By the 1960s new Honda models were in abundance and the advertising phrase ‘You meet the nicest people on a Honda’ was attracting new buyers to Honda dealers. The modern designs, bright colours and simplicity attracted commuter and sport riders. 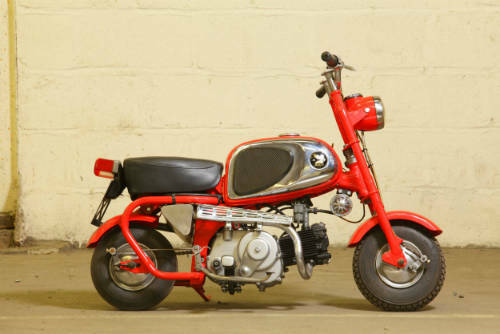 From 50cc mopeds to 450cc sports bikes and from on-road to off-road designs, there was a model to suit all tastes. 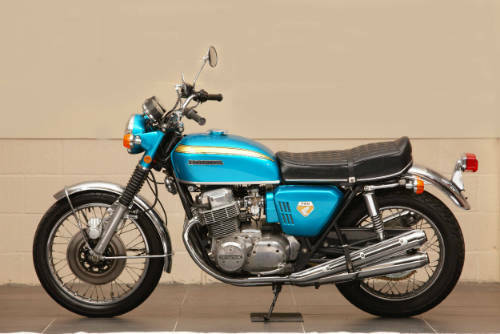 Then in 1968 Honda launched the Dream CB750 Four, a new sports bike that started the term ‘superbike’. On display covering this decade are over 30 different models from the CZ100 Monkey bike through to a very early production number 1000750 sandcast CB750. The 1970s Honda model range was exceptional. Not just a new decade of many new models but also a period of hi-technology. 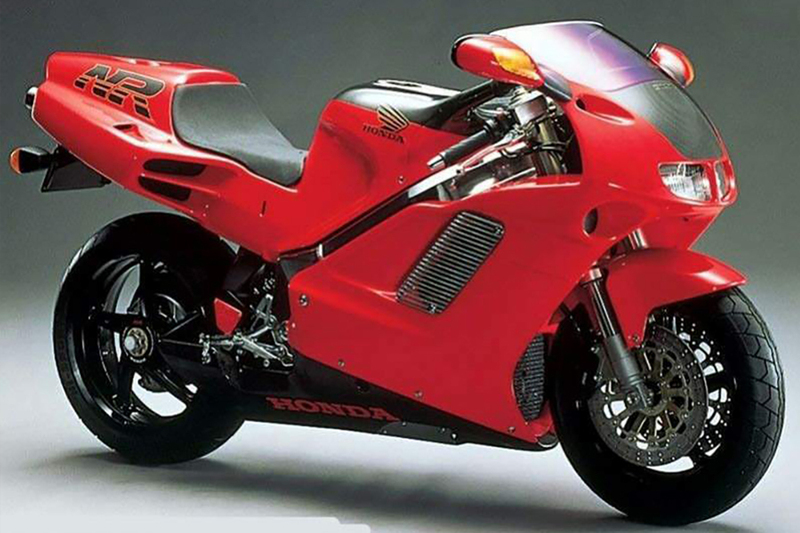 Honda R&D worked overtime on many new engine configurations and high levels of sports riding specification. From in-line four’s to in-line six’s, V-twins, flat-fours and automatics. On-road, off-road, two wheel, three and even four wheel practical and fun bikes! The 1970s Honda model range was exceptional. Over 60 models from this decade are on display including all 3 models of the CBX and 5 examples of the Gold Wing touring range. 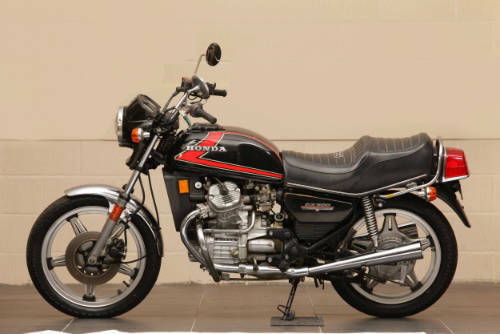 New V-fours and new DOHC in-line fours dominated the 1980s, with Honda further increasing its market share in many countries across the globe. 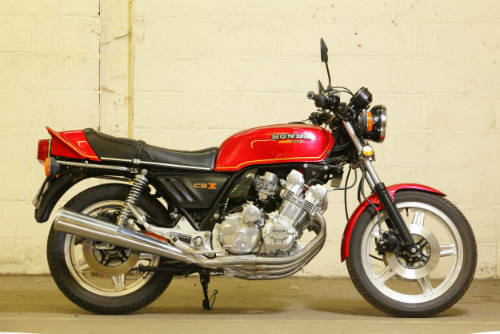 New V-fours and new DOHC in-line fours dominated the 1980s and V-twins went from the workhorse CX500 to the Turbo powered CX650T and on to a new range of VT500 to VT1100 custom and tourers. 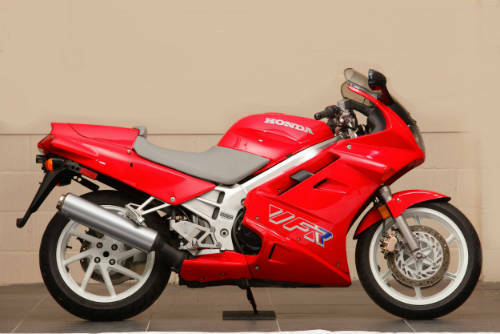 V4 power started with the VF750S and finished the decade with the highly successful VFR750F and the stunning RC30. 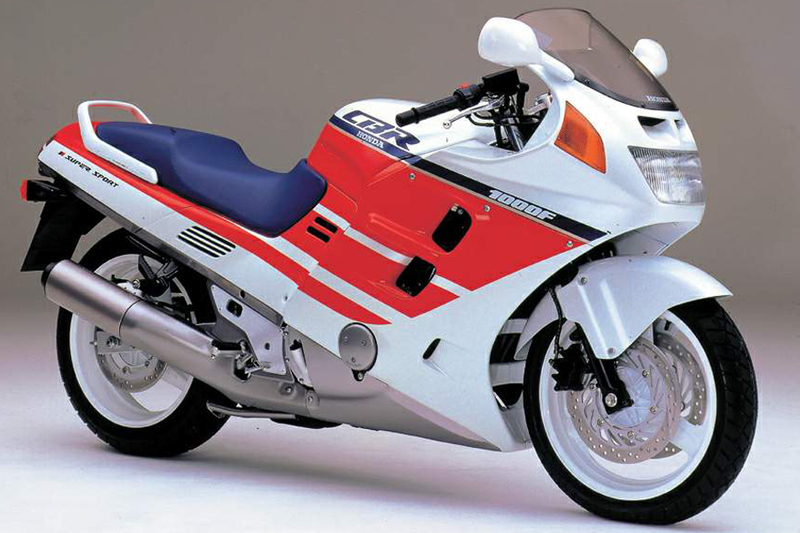 The in-line fours opened the new decade with the DOHC CB750F and by the mid 80s these evolved into the CBR600F/1000F series. Mopeds and scooters remained dominant with the NC50 Express as advertised on UK TV by Twiggy, the Vision and Melody mopeds and 4-stroke Spacy 125 and 250 scooters. The off-road sports market was also well served with new CR, TL and XR models. 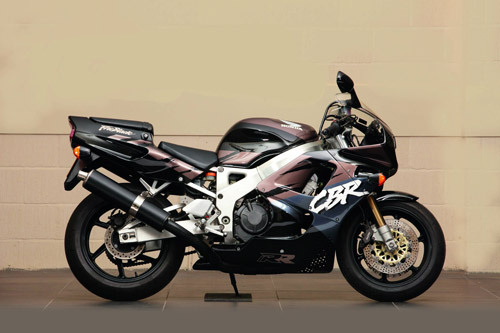 By the end of the decade Honda were working on the new CBR900RR Fireblade, a highly successful super-sports model that takes Honda from 1991 to today! Over 20 models from this decade are on display including the following examples. As well as the 150 classic Honda’s on display, you will see a 100 plus metre long Honda timeline display chart, providing a year-by-year history of Honda motorcycles alongside the bikes from each decade. In addition, TV monitors show videos of past Honda factory tours and other interesting films. The collection finishes at 1991, the year Soichiro Honda past away. We proudly present two significant models developed during his last year.